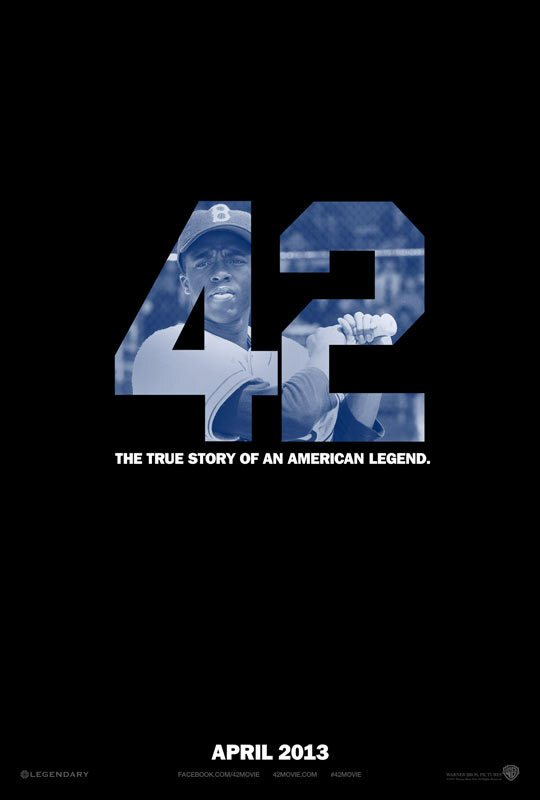 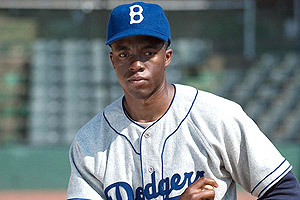 Chadwick Boseman, Harrison Ford and Christopher Meloni star in the Jackie Robinson biopic 42. See the movie trailers, photos and movie poster. 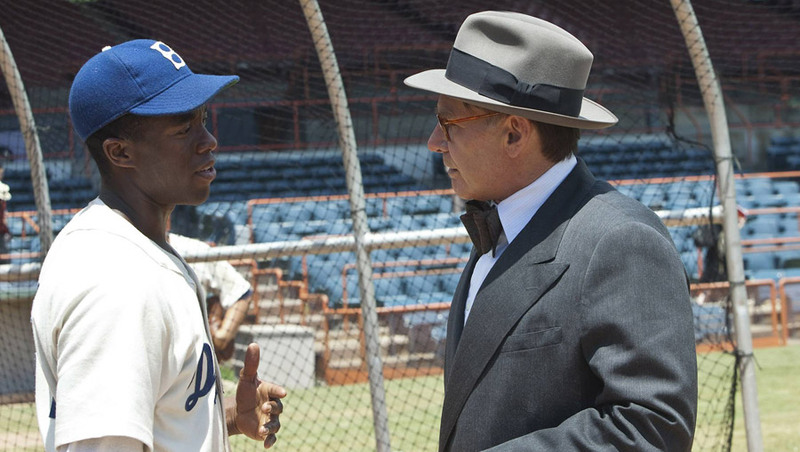 ’42’ tells the powerful story of Jackie Robinson, the legendary baseball player who broke Major League Baseball’s color barrier when he joined the roster of the Brooklyn Dodgers under the guidance of general manager Branch Rickey. 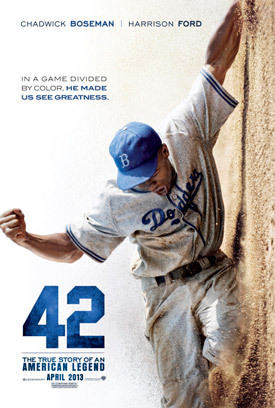 MPAA Rating: PG-13 for thematic elements including language. 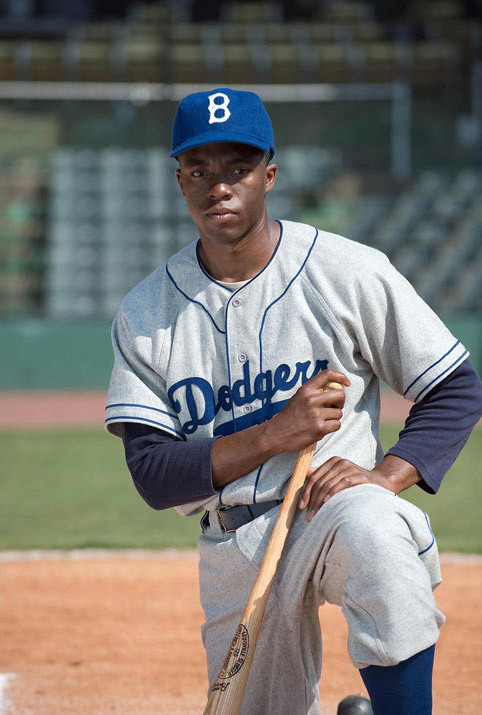 Warner Bros. Pictures and Legendary Pictures are teaming up with director Brian Helgeland for “42,” the powerful story of Jackie Robinson, the legendary baseball player who broke Major League Baseball’s color barrier when he joined the roster of the Brooklyn Dodgers. 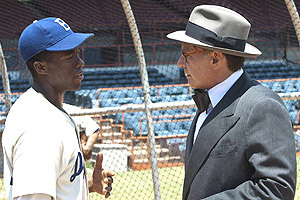 “42” will star Academy Award(R) nominee Harrison Ford (“Witness”) as the innovative Dodger’s general manager Branch Rickey, the MLB executive who first signed Robinson to the minors and then helped to bring him up to the show, and Chadwick Boseman (“The Express”) as Robinson, the heroic African American who was the first man to break the color line in the big leagues.